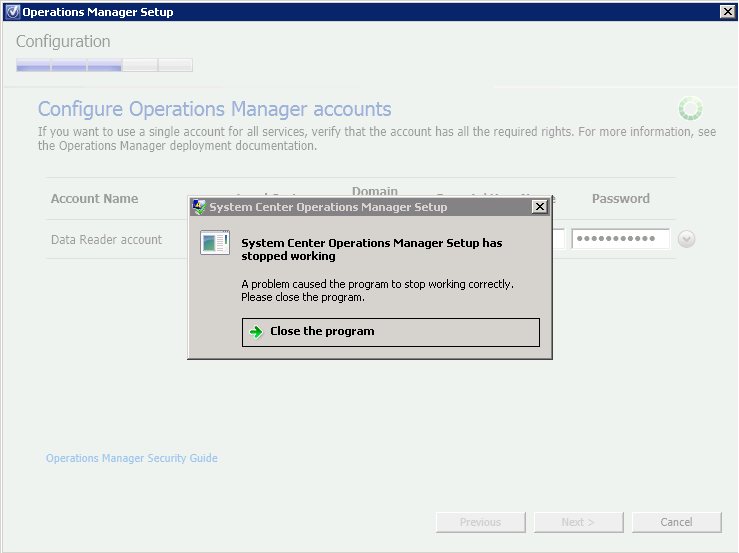 During the installation of a SCOM2012 reporting server the installation unexpectedly stops working with an error message “System Center Operations Manager Setup has stopped working”. This repeatedly happened after the data reader account was entered. The log files in %LocalAppData%\SCOM\Logs did not give any information about why the installation ended, neither did the event viewer. All prerequisites where met and common workarounds like reboots and using a dedicated SQL server for the reporting database did not solve the problem. 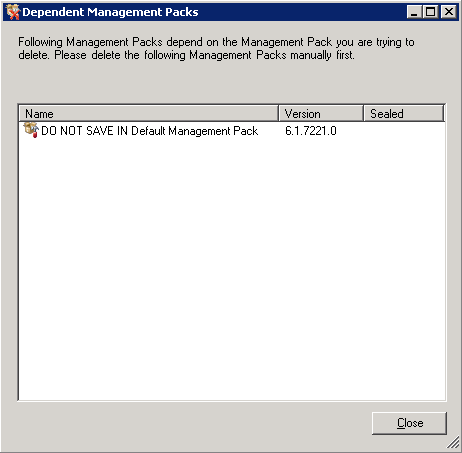 This is caused by an override that is targeted on the management pack you want to delete (for instance Citrix Library) and is stored in the Default Management Pack, which is NOT a best-practice. Even after deleting all overrides from the DMP the message does not disappear. 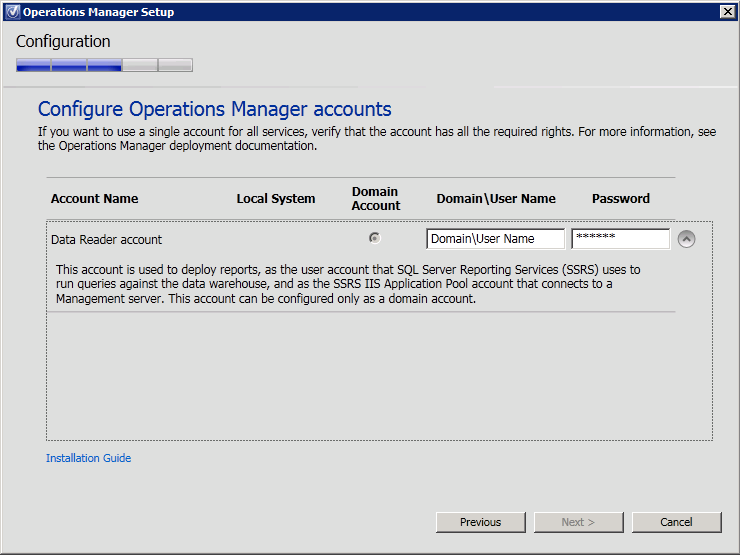 System Center Operations Manager (SCOM) agents are by default allowed to only return data from the same source. If the agent needs to submit data from another source, for instance in a cluster, the security feature ‘Agent Proxy’ needs to be enabled. By default this feature is disabled. If you create (or import) a management pack that relies on this feature, for example when the management pack submits data from another source, you might want automate this. When creating a report in System Center Operations Manager (SCOM) showing performance data you’ll need to make a decision about the data you’re going to show. Will you use raw data (Perf.vPerfRaw), hourly aggregated data (Perf.vPerfHourly) or daily aggregated data (Perf.vPerfDaily). Do you want to show detailed information or for a longer period? The most detail can be achieved with the data stored in Perf.vPerfRaw but this comes at a cost, the time to query the database and render the report increases massive. So if you want to show data for a longer period (like over a week) you’ll probably better use the data stored in Perf.vPerfDaily. But what if you want the user the ability to change the date range? If the user specifies a small range (for instance a day) you want high detail, but when the range is increased (for instance a month) less detail is required. 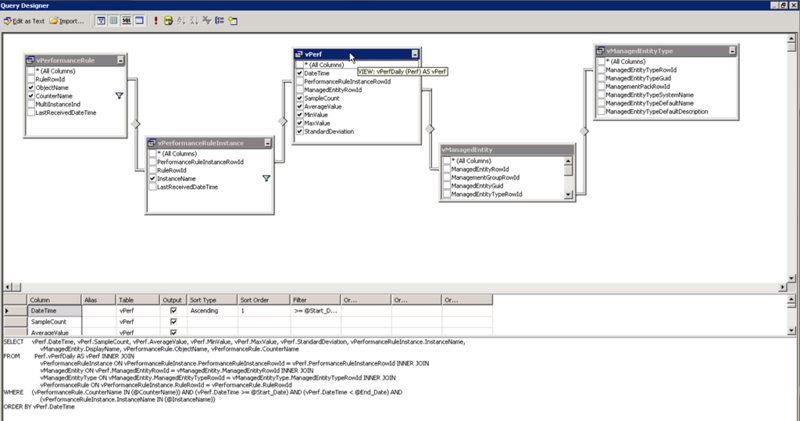 Unfortunately the reports created in the Business Intelligence Development Studio (BIDS) does not allow you to create a conditional SQL statement. So in order to achieve this, a stored procedure needs to be created. OpsMgr: Where’s my management pack? 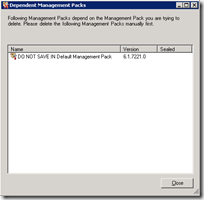 After importing a management pack in System Center Operations Manager (SCOM) it might take a while until it is visible in the Operations Console. When developing a management pack (and especially when creating reports) this is frustrating since there are numerous reasons why the management pack isn’t working as expected. A common reason why the management pack (and the associated reports) aren’t showed in the Operations Console is because the management packs are queued awaiting synchronization.